We've found that the many fruity, fizzy versions of kombucha on the market have been helping to wean us off of our soda habit. With no sugar and the use of green tea instead of the typical black, local brand Lev's Original is not one of the great soda substitutes. 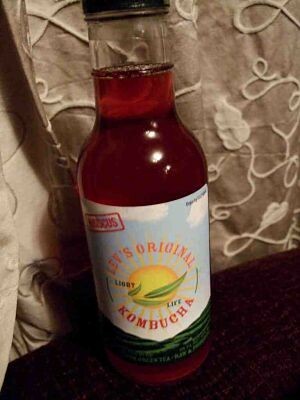 But it is certainly different and refreshing, and probably a breath of fresh, well, kombucha for those who don't need as much sweetness in their lives as we do.